Slick Rock Falls flows on Slick Rock Creek over an overhanging bluff. 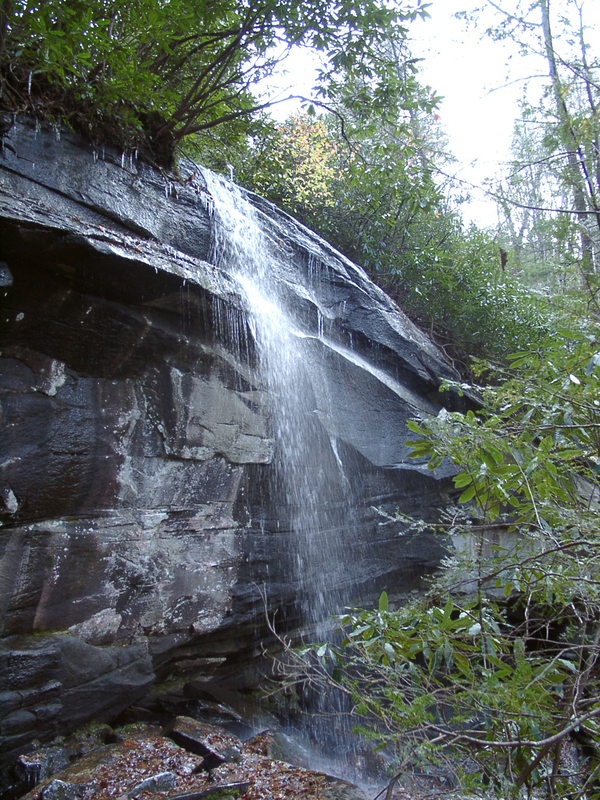 The falls occasionally dries to a near-trickle, depending on the available watershed. 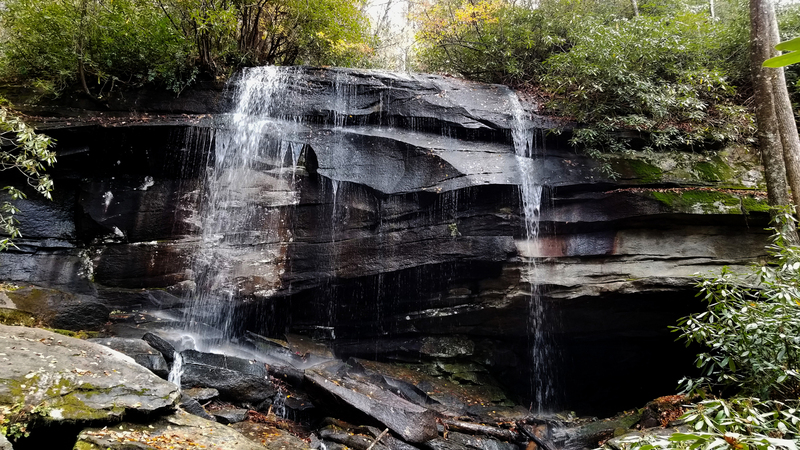 The falls are in Pisgah National Forest and are accessible by traveling on U.S. Highway 276, approximately 5.2 miles north of the intersection of 276 and U.S. Highway 64 in Brevard, North Carolina. Turn left onto Forest Road 475 and go 1.5 miles, and turn right onto Forest Road 475B. Go north 1.1 miles. You will come to a sharp left-hand curve with a small pullout on the outside of the curve. Park here and follow the trail for 55 yards, taking the right fork to the base of the falls in approximately 45 yards.